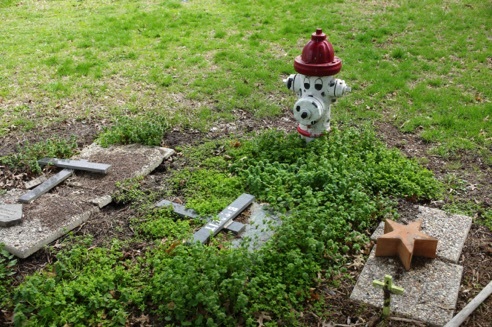 His three dogs, the inspiration for the garden, have all gone on to Doggie Heaven and are buried on the property with their own Dalmatian painted fireplug next to the goose rock garden. 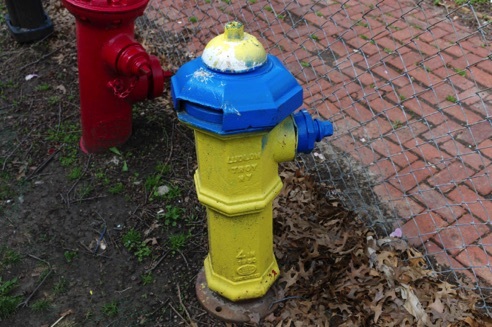 This is the only plug not painted a solid color and is reminiscent of the Brisbane, California, Plug Preserve (1992) where the fireplugs are all painted with portraits of various women except one, painted with stars. 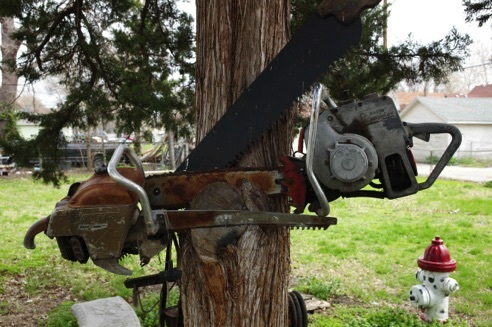 Also next to the burial site is a mature tree with two gas-powered saws, one a chainsaw and the other a reciprocating saw cutting in its trunk. 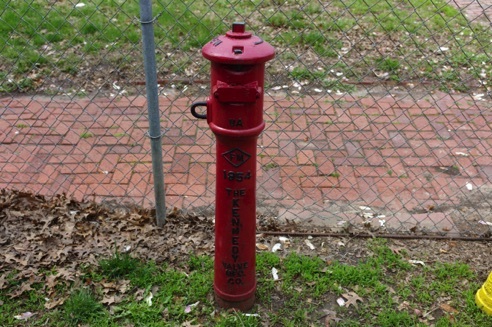 Perhaps one of the funniest juxtapositionings of the garden is what I call the “lonely sentinel,” a single functioning fireplug across the street from the garden with its view of its nonfunctioning colleagues across the street. 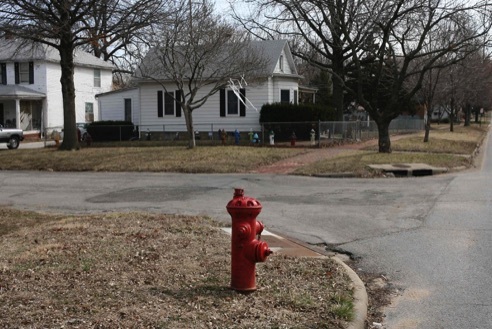 It looks lonely but it stands ever vigilant to serve the neighborhood in case of a real fire. 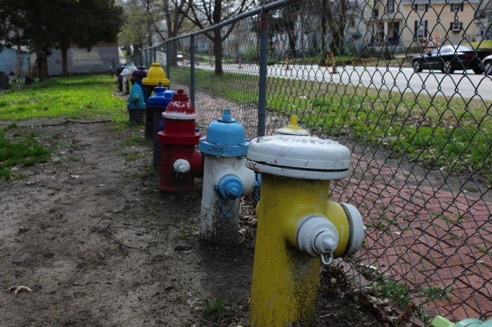 Topeka’s Fireplug Garden was inspired by Claude Belshe’s three dogs that kept tearing up his yard destroying his plans for a typical urban manicured lawn. 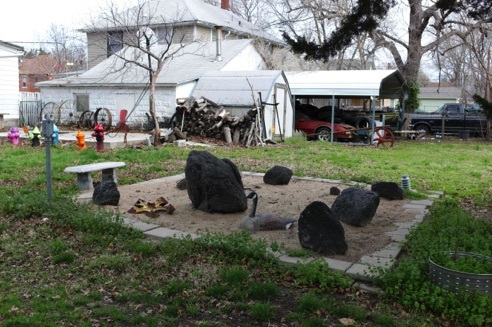 The destruction gave Belshe inspiration to create an alternative to the usual urban yard format while at the same time providing his dogs with a Paradise and himself with a newfound passion. 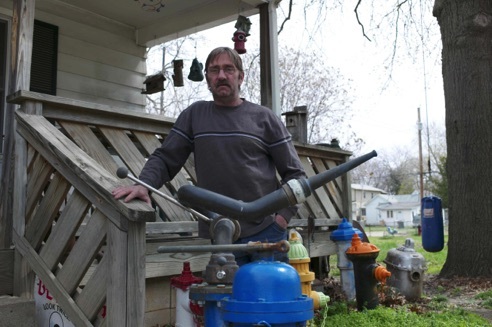 Belshe has been quoted as saying that his garden is “redneck yard art. Clive Belshe outstanding in his garden. 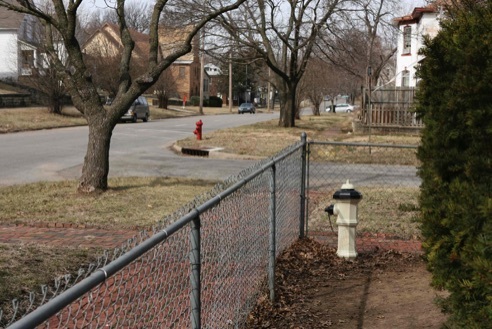 When I first visited the then-budding garden in 2007 it was fiercely guarded by two overly aggressive large dogs that kept their Paradise strictly off limits to any unauthorized visitors. At that time the garden had only forty fireplugs in its collection but over the years it has continued to grow with both new purchases and donations of plugs. 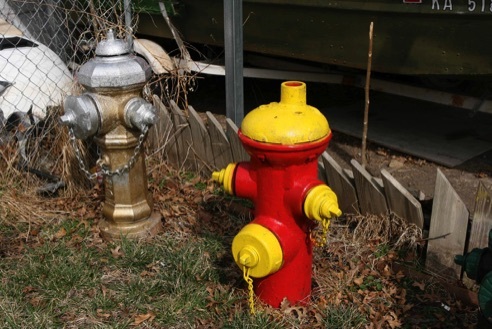 Belshe noted that a real fireplug collector isn’t even considered serious by others in this small fraternity until they have at least 100 hydrants in their collection. Belshe, who has been collecting them for the past ten years, is a true lover of the heavyweight plugs and is now poised to turn the corner from being a mere amateur to the big times as his collection nears its one hundredth plug. The avid and amicable collector will proudly give anyone interested in visiting his collection a personal tour which, besides being a lesson in plug design and function, includes many personal stories and antidotes of how he came to acquire each of his specimens. 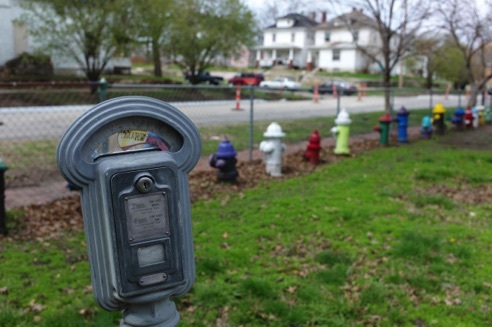 To amass the collection, he has purchased fireplugs online, through garage sales and flea markets and been the recipient of donations as word of his collection has spread. 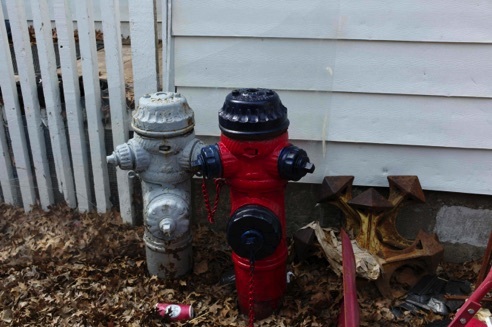 Two of the plugs came from a gentleman who, when digging around his front porch, kept hitting a hard metallic object only to discover that two fireplugs had been buried there. 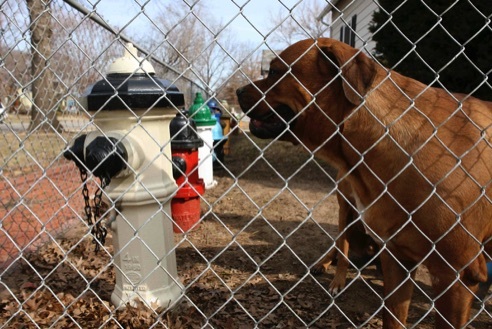 Knowing of the garden, he donated both to Belche who immediately gave them a new home and a custom paint job. Among the stories he relates are those of trips he has made to California, New Jersey, Wisconsin, Indiana, Texas and Canada on his Harley with its custom-built fireplug transport trailer in tow. Belshe said that he gets lots of strange looks from other drivers who can’t believe their eyes as he travels across country with the plugs. One story he related was his return trip from Canada in 40 below zero weather on the Harley rig. When attempting to cross the border back in the U.S. he was met with real concern that he might be importing a plug into the U.S. under suspicious circumstances and, after some discussion with officials, was allowed to bring his prize catch into the country. 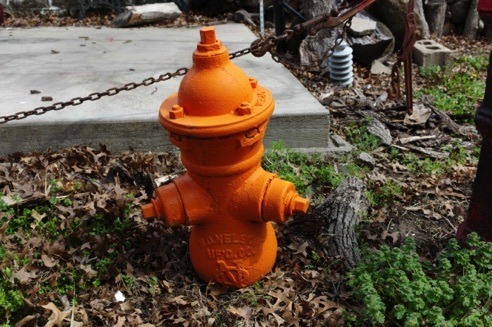 Belshe is not content with painting the fireplugs red and has chosen to decorate his with various color schemes including some suggested by neighbors who have line of sight to the garden. Other color scheme choices he uses range from those of favorite sport teams, Kansas college and university colors, patriotic colors as well as more whimsical choices. 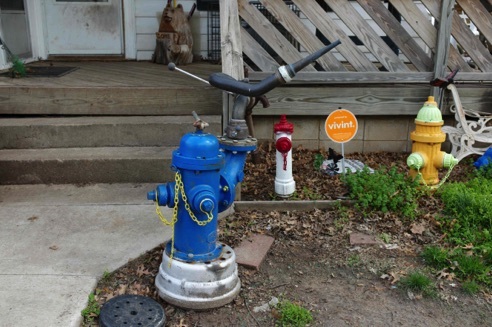 And if you donate a plug you can even choose what color it will be painted for the garden. 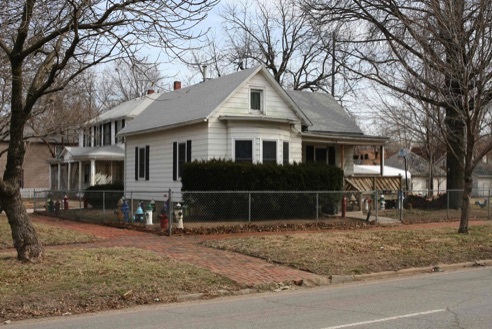 The bright-multicolored collection creates a great deal of visual impact around his property to the delight of passing motorists and no doubt to dogs as well. To plant and paint the plugs he has enlisted his stepson Jeff Ard in his quest to assemble and maintain the collection. Planting a plug is heavy work and can involve cutting down the attached pipe to a more reasonable and manageable length to securely install it in the garden in a deep hole. The 400 to 600 pound plugs can also require several people to help position them in place. Discussing his collection on a tour through the garden, Belshe pointed out the oldest example, a 110-year old plug his mother bought for $75 made by N.O. Nelson Manufacturing Company of St Louis, which he painted orange. When asked which plug was his favorite, he confessed that it was the American Darling manufactured in Beaumont, Texas and used possibly at a refinery or in a warehouse. 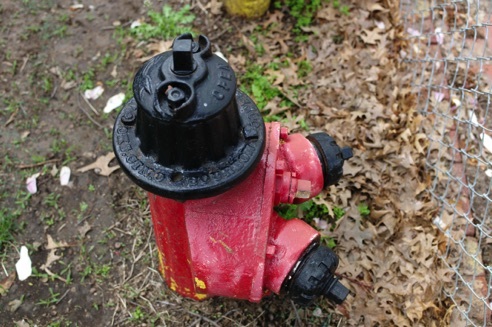 The unusual large plug has a side-mounted articulated arm with a retrofitted nozzle he installed. Another “American Darling” is what he calls his “Dolly Parton” plug painted red and black. Besides these, his favorite style are those with an octagon shaped upper barrel. 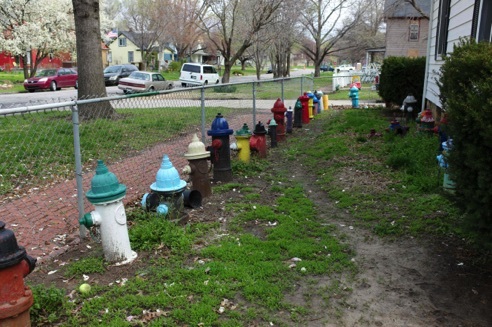 Most of his collection is composed of the “dry-barrel hydrant” type where the valve is located below the frost line. His vast collection also has examples of “wet-barrel type” plugs from more temperate climates, as well as plugs with risers to bring them above grade to a required height.